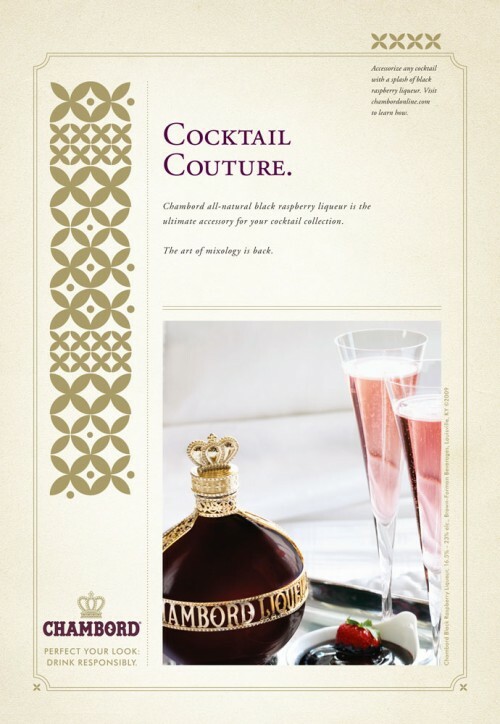 This assignment popped up at the last minute (most unusual) and the brand manager needed a new ad designed and some copy written in support of Chambord’s sponsorship of Mercedes-Benz Fashion Week. 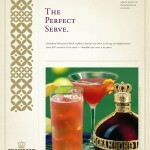 Brand strategy was focused on the crafted cocktail and Chambord’s place in the upscale bartender’s arsenal. 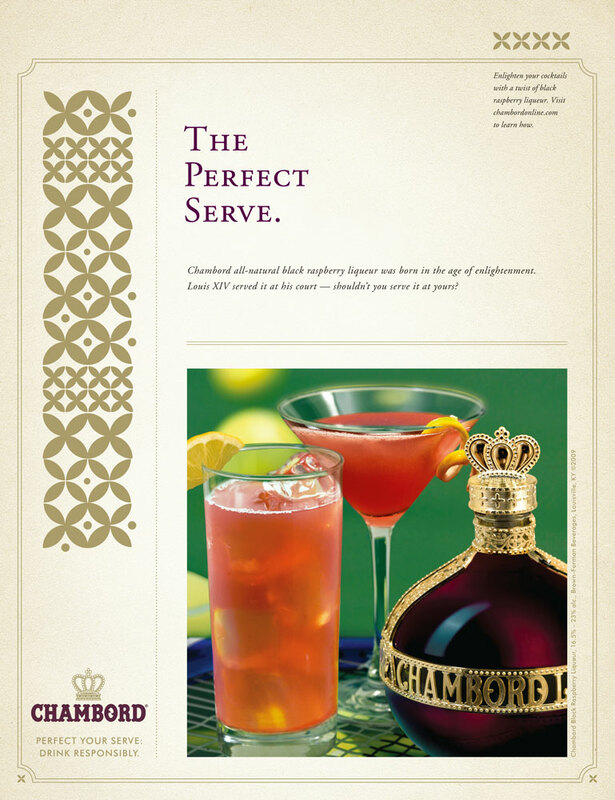 To that end, I wrote the headline tying the cocktail craft to the fashion industry (with alliteration, yay) and firmed up this relationship with the allusion to Chambord as an indispensable accessory for the mixologist. The final touch was writing a responsibility message in brand and event appropriate language. Good times!